New to tennis? Struggling to understand the tennis lingo?  Check out our tennis glossary to help you choose the best free tennis event for you! ANZ Tennis Hot Shots: is tennis for kids! It’s a program designed to help every child, no matter their age or ability, jump in and start playing tennis. ANZ Tennis Hot Shots is played on smaller courts with modified equipment, including lighter racquets, lower nets and low compression balls that don’t bounce too high. ANZ Tennis Hot Shots Match Play: a fun and social way for kids to get into team tennis and is played at Red Ball, Orange Ball and Green Ball level. Kids who become involved in Match Play will learn the basics of game play, as well as scoring. Free Tennis Day/Open Day: used interchangeably, these terms refer to when a tennis club opens up their club to the local community and encourages members and non-members of all ages and tennis abilities to pick up a racquet and have a hit.